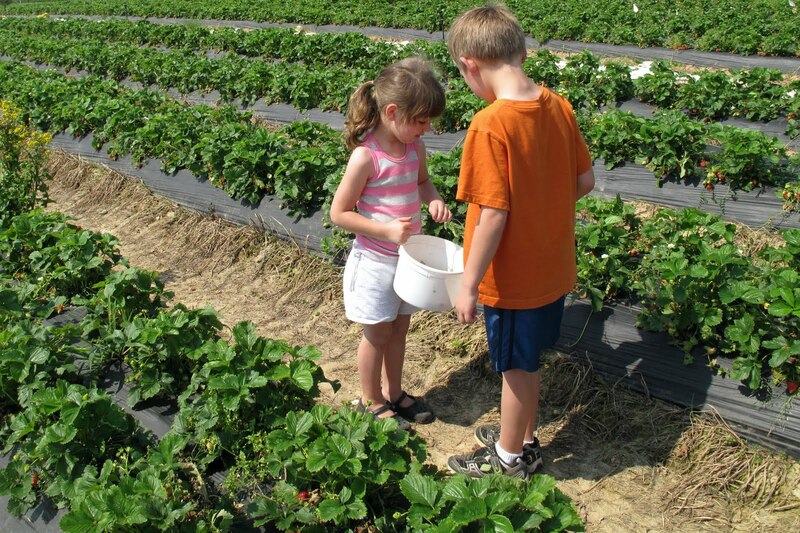 The last couple of summers I’ve discovered berry picking. 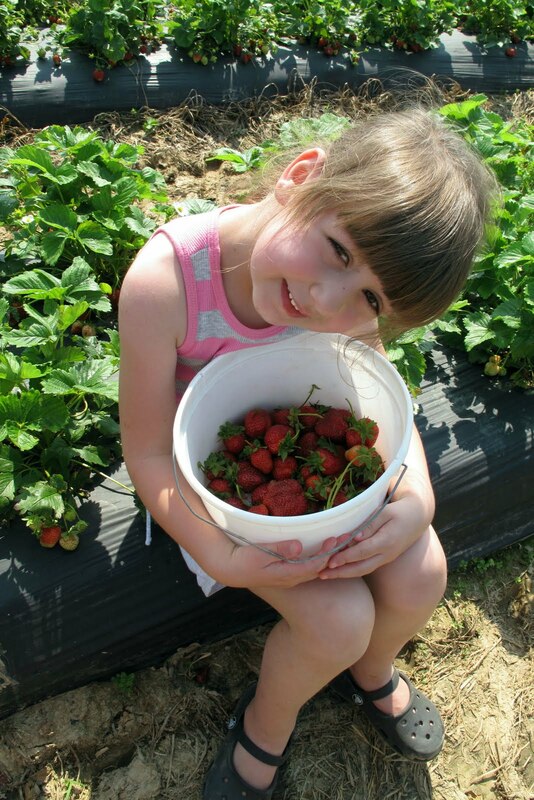 It’s a fun summer activity, and it even lingers with the delicious berries brought home. 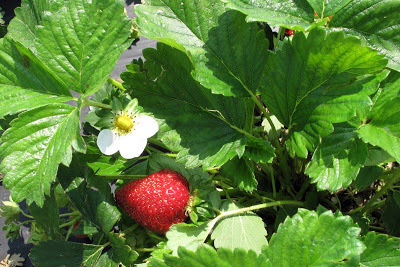 But, somehow, I kept missing strawberry season. I learned about The Berry Farm and immediately made plans with Courtney to take our kids. It was in the mid-80s today, but at least the sun was shining. 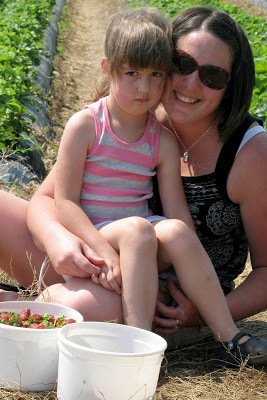 And, yes, I brought home sunburned shoulders along with my box of self-picked strawberries. And I loved nearly every minute of being out there in the heat. 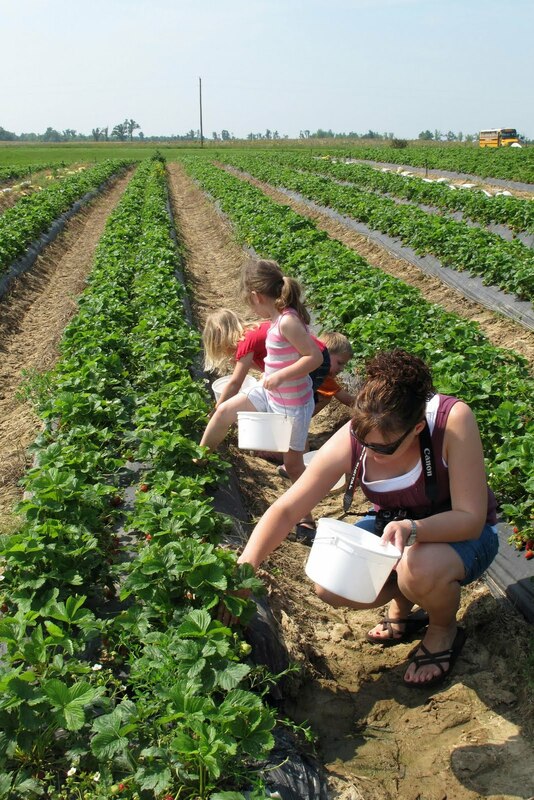 Apparently there was a strawberry pickin’ competition going on. At one point I had this most. When I took this picture, Noah and Cate were discussing which of them had the most in their bucket. 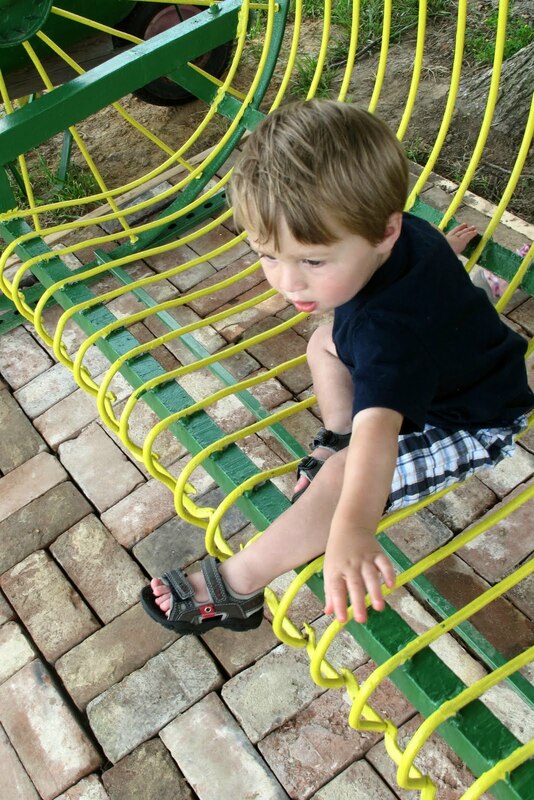 The minutes I didn’t love involved my 4-year-old girl breaking down because she was hot, hungry and not getting her way. The breakdown followed the picture above. Lunch cured much of her attitude and we enjoyed the rest of our time there. 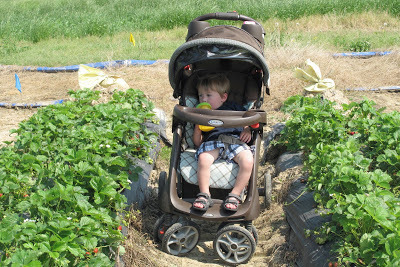 Ben watched us pick berries, but then he found a swing, a dog and a large field to walk through. That’s his version of heaven. He also waved to the tractor that passed by, as if it was a very brief parade. 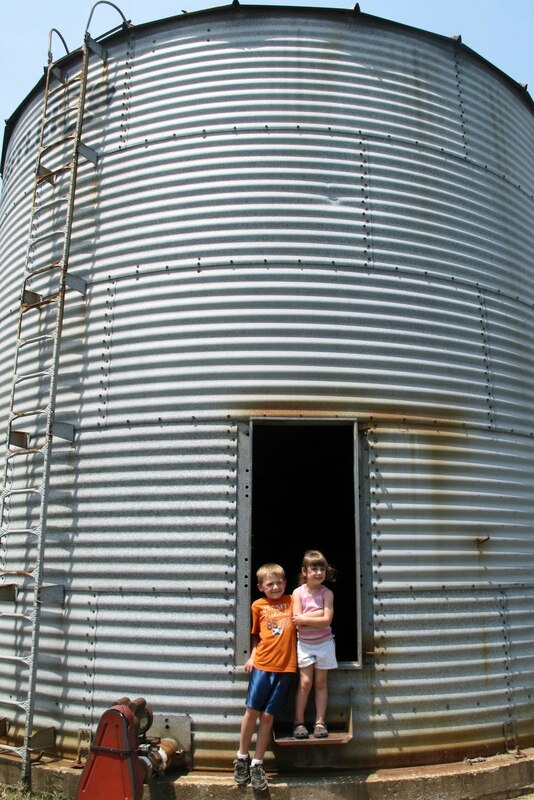 The kids liked this grain bin and the echo inside. 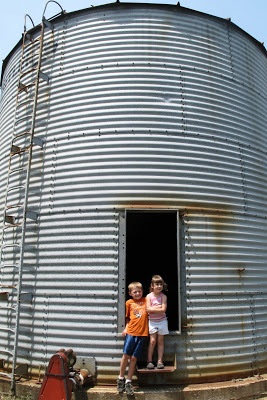 They also got to climb on hay bales inside an old tobacco barn. 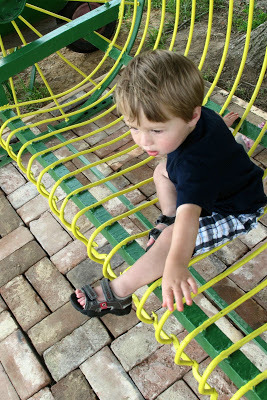 I would have taken pictures, but I was climbing behind my boy who is fearless about such activities. 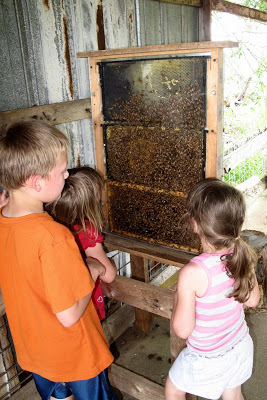 The observation honeybee hive provided the opportunity to look for the queen bee, who conveniently had a white spot painted on her back. Now to wash, cut and freeze those 5 1/2 pounds of strawberries we brought home. I remember when we used to take the boys. We had a patch just down the road from us in the field just before the Calvary Temple church. I loved those days, not so sure they liked them as well as I did, probably for the same reasons as Cate.